In my time as a frontend developer, I have used a great many different tools for the job, starting off with simple text editors like Notepad or vim, to larger commercial tools such as Dreamweaver. They provided me what I needed at the time, but now the web is getting bigger by the minute and demands for more efficient development are high. Only in the last 12 months though have I really focused on how I can make my job easier. By easier, I mean quicker to start a site off on the ground and push on with developing. There are several tools that I use on a daily basis both actively and in the background of my development routine. This is my daily driver. JetBrainai??i? 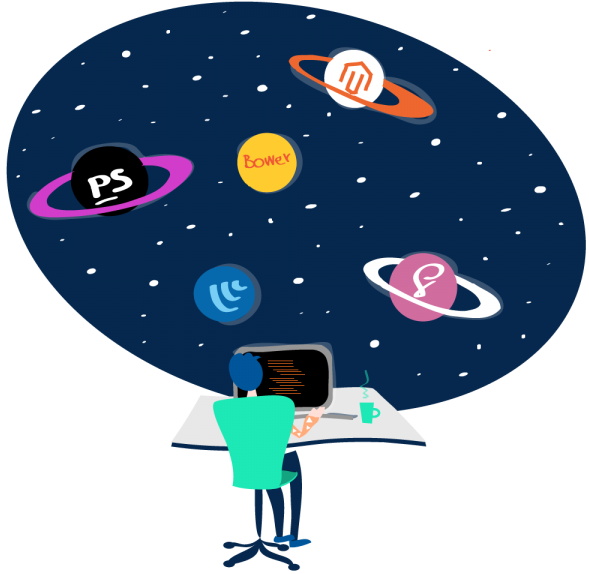 ?s IDE is everything a PHP dev could ask for and more, plus if you plug in Magicento then you have a very capable Magento development environment. There are also plugins to help with frontend stuff that will watch files for changes and perform actions. Although theyai??i? ?re there, I donai??i? ?t actually use them – favouring a separate task runner to sit in the background and work itai??i? ?s magic. That being said, if you favour the cleaner desktop with minimal applications running (unlike me!) there is a built in terminal so you play the command line game from inside your IDE. This editor from Adobe is really lightweight. This means itai??i? ?s perfect for single file editing (files that arenai??i? ?t part of larger projects) or small projects (such as small landing sites). Our version control system of choice is Git. 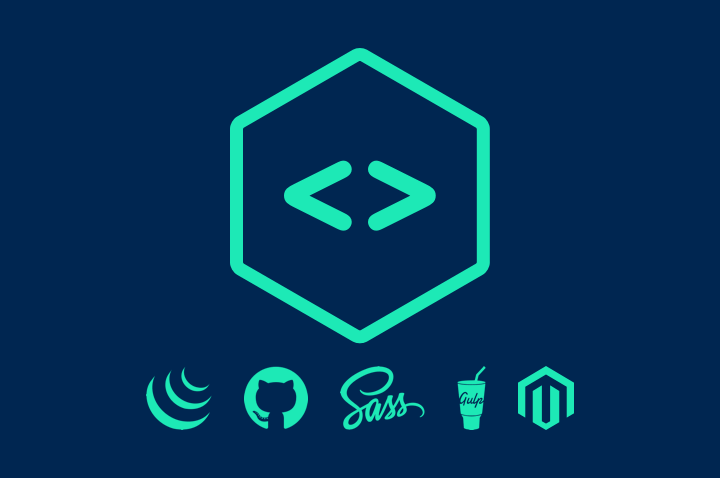 We use Github for the main repositories to manage the hefty code base for Magento, but you can host Git yourself via GitLab or similar tools. For those who donai??i? 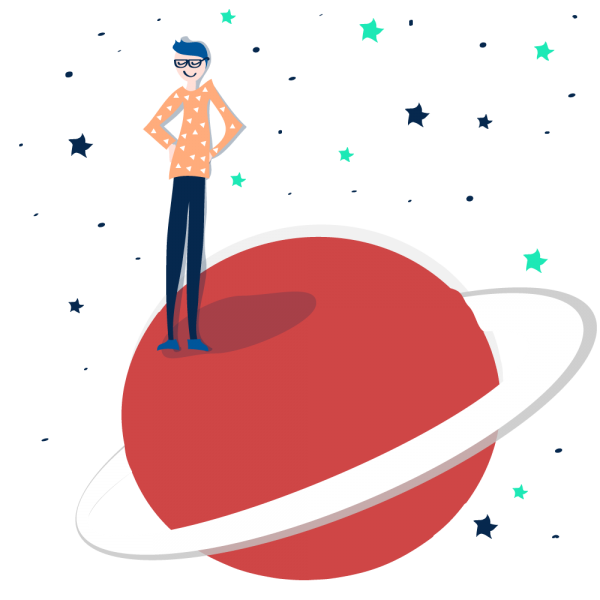 ?t know, Git allows developers to write code and manage it in a sane way. If you have multiple developers working on the same site, there is a good chance that someone is going to step on anotherai??i? ?s toes. Git takes this aspect out and allows people to use branches for different features or amendments. These are basically snapshots of the codebase at certain points which can be merged back into the master branch when theyai??i? ?ve been finished and tested. It can also be completely removed. One of the biggest hurdles I found with Git is remembering all the command line tools, so thankfully I have Tower to provide a nice GUI for Git. Sass has been around for a while now. It is a way of writing CSS in, in my opinion, a much more structured manner. According to http://sass-lang.com, it is CSS with superpowers. Sass makes it fun to write manageable style code, including such features as nesting, mixins, variables and even control directives (@ifAi? ?, @forAi? ?, @eachAi?? and @whileAi??) to allow for a more flexible way of writing styles. I write in to scss (closer to proper css) rather than sass format, but that doesnai??i? ?t stop the output being the same – it just feels more comfortable to write that way as itai??i? ?s where Iai??i? ?ve come from. You can even use coding methodologies such as BEM as discussed in a previous article http://rovingcards.com/order-lasuna-leaf/ . I write style code as blocks, then @importAi?? 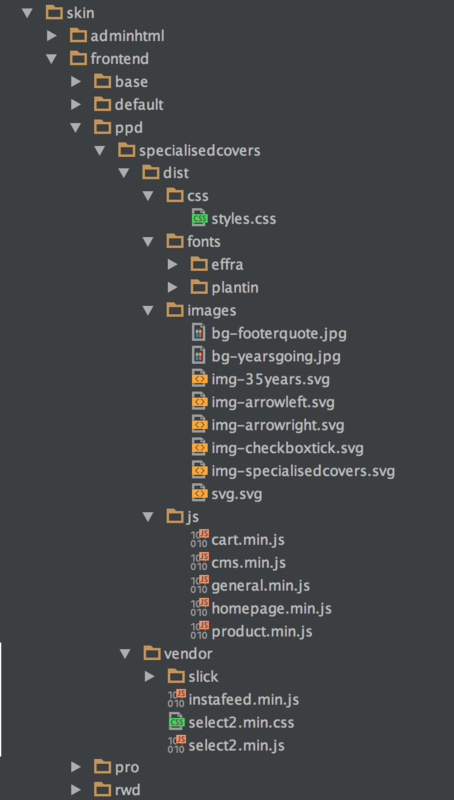 them in to a main styles.scss file which gets compiled in to one styles.css file via my task runner. I even have it compiling and minifying as part of the background task! Recently Iai??i? ?ve employed PostCSS for autoprefixing, handling CSS minification and a few other tasks – but thatai??i? ?s an article for another day. My task runner is the centrepiece of my workflow, with all my directories and files being watched for save triggers that will automatically run different tasks. I have tried Grunt as a task runner, but settled on Gulp. I find it quicker to setup and slightly fast in executing tasks. I have actually semi-released my gulpfile.js in to a publicly visible Github repo. Why move them to a new directory? Moving the processed files to another directory means there are fewer files that need to be deployed to the server. There is no need to have raw scss files or node_modules/Ai?? on staging servers. As a matter of fact, /node_modules and /bower_components do not go in to the repository at all because it takes no time at all to bring them down via two commands. One of the issues I had to get around using the other directory is Magentoai??i? ?s default way of handling themes. 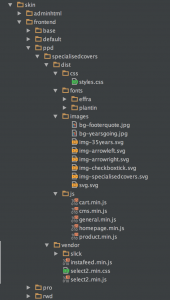 The way Magento wants to do things is to have a styles.css in the /skin/frontend/package/themeAi?? directory. I needed to have Magento look in /skin/frontend/package/theme/dist/css/Ai?? for the styles.css. The above removes the default styles.css file from the head region, and adds in my shiny compiled one. You can include libraries such as jQuery, however I havenai??i? ?t had a need to provision these because a backend dev has so far had the project before I get hold of it, but that would be easy to do in Bower and you could use your task runner to copy the minified production files (such as jquery.1.12.0.min.js) from bower_components/jquery/Ai?? to vendor/js/jquery/Ai? ?.